For 100 years Scouts have enjoyed this beautiful property to camp, fish, canoe, & play. Camp Tracy provides a three-day day camp for new Scouts in the Scouts BSA program with an optional overnighter. 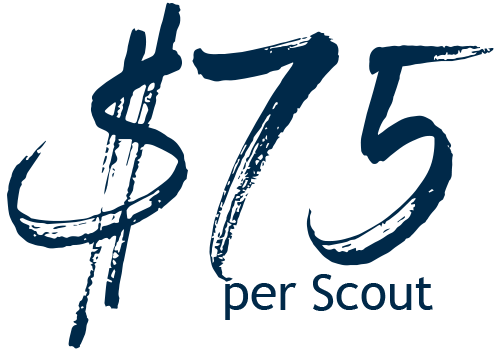 The camp focuses on fundamental Scout skills that will be the basis for further learning and growth throughout a Scouts time in the troop. Two final session of Camp Tracy 11-year-old program will be held this summer. Join us July 18 - 20 & July 29 - 31 as we celebrate 100 years of this camp. We are always willing to help answer your questions about Camp Tracy. Just reach out to someone listed below and they will make sure that all of your questions are taken care of. To reserve a facility at Camp Tracy, please contact the Camps & Events Desk. We do not charge for adults to attend Camp Tracy.